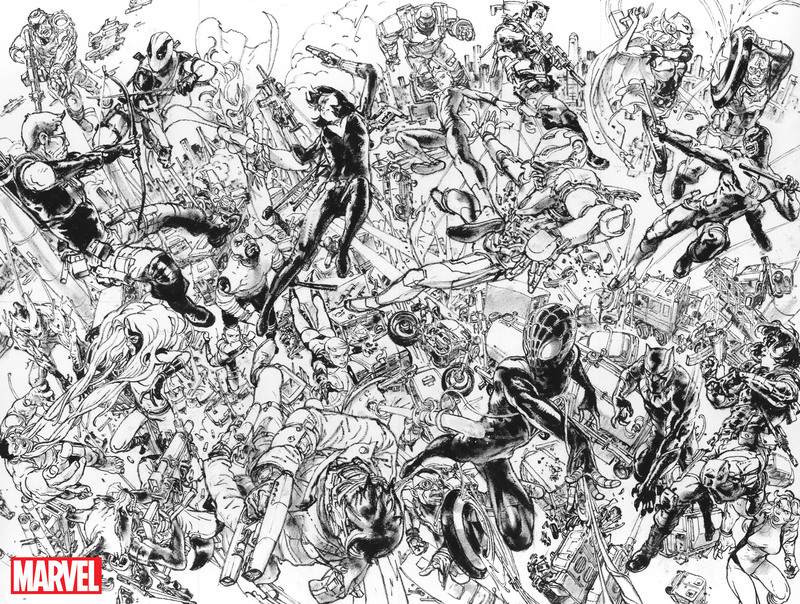 Marvel is launching Civil War II this June (though issue #0 will be out on May 11), and to further ramp up the hype the House of Ideas commissioned world renowned artist Kim Jung Gi to make a gigantic black and white illustration of Marvel heroes fighting each other. The illustration will be split into eight variant covers for the Civil War II titles. You can check out a high res version by clicking the completed illustration below. Kim is famous not just for his art but for his process as well. He draws in one sitting, with no preliminary sketches, after imagining what the finished illustration will look like. His time lapse videos are a sight to behold, and this one’s no different.